Krill oil is an alternative to fish oil that comes from krill. Krill are shrimp-like crustaceans that live in the Antarctic Ocean. Krill oil contains omega-3 fatty acids have many benefits and because the body does not make omega-3s, and these omega-3s have several benefits to your overall health. 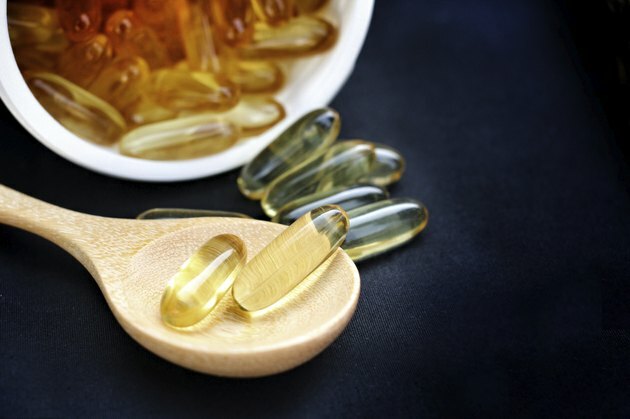 Although there are not many clinical studies involving krill oil, researchers have observed several potential side effects associated with the use of krill oil as a nutritional supplement. One potentially dangerous side effect associated with krill oil is blood thinning. Krill oil contains EPA and DHA two fatty acids responsible for blood thinning. According to the University of Pittsburgh Medical Center, Krill oil can decrease blood coagulation. Reduced blood coagulation is potentially dangerous in individuals at risk for bleeding complications. Additionally, if you take krill oil supplements and you are cut or wounded, it may take longer than normal for the wound to clot and stop the bleeding. In a study that appeared in the 2004 Annals of Pharmacotherapy, krill oil increased the effect of warfarin, a blood-thinning medication. Additional medications that may interact with krill oil include aspirin, clopidogrel, diclofenac, ibuprofen, naproxen, dealteparin, enoxaparin, heparin and warfarin. You should, therefore, speak with a medical professional prior to taking any krill oil supplement if you currently take any medication that can cause your blood to thin. The overall production process of the krill oil can determine the overall quality and safety of the krill oil supplement. Krill oil can oxidize and spoil so production quality has potential safety concerns for the consumer. Generally Recognizes As Safe is a certification that the Food and Drug Administration gives supplement manufacturers after meeting production quality standards. Only two krill oil manufacturers have received this certification, Neptune Krill Oil and Superba Krill Oil. Many individuals have a food allergy to crustaceans, and Krill are a type of very small crustacean. If you have an allergy to crustaceans, you should not consume krill oil. If you have a crustacean allergy, you will generally have a moderate to extreme allergic reaction to krill oil. This allergic reaction may require emergency care and or hospitalization. Even if you normally do not have any known allergy to crustaceans, if you experience any allergic reaction to a krill oil supplement, immediately discontinue use and seek medical attention.